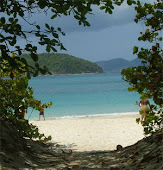 Travelers to Cinnamon Bay, St. John, USVI share their trip experiences. Cinnamon Bay Beach is one of the most beautiful beaches you'll ever find. 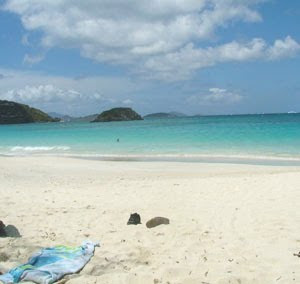 It is within the Virgin Islands National Park and is the longest beach on St. John. The campground is managed by the U.S. National Parks Service and offers an affordable means for everyone to visit St. John. Yes, St. John is a U.S. Virgin Island, however, they drive on the left, so be careful when renting a car. The gorgeous scenery can be distracting, and the roads are narrow and windy. That being said, it is very convenient to have a car on the island for a few days to explore the far reaches of the eastern (dry) side. Taxis are plentiful and hitchhiking is common. Cinnamon Bay is on the North Shore of the Island. Most people arrive via ferry boat to Cruz Bay, which is on the western side of the island. From Cruz Bay head out of town from Mongoose Junction, 4 miles on Rte. 20 or the North Shore Road. Cinnamon Bay Campground is right on this road just after Trunk Bay and Peter Bay. Taxis are available right at the ferry dock to take you to Cinnamon Bay for $7 per person. It is about a 15 minute ride from the ferry. Cinnamon Bay Beach is located at to the Cinnamon Bay Campground. The campground offers cottages, platform tents and bare campsites, along with all the camping gear you'll need. There is a general store, restaurant, snack bar, lockers, restrooms, changing rooms, showers, telephones, picnic tables and barbeque grills all open to the public. 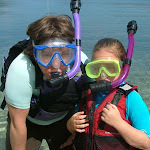 An activities desk offers kayak rentals, snorkel trips, SCUBA, snorkel and windsurfing lessons, day sails, cocktail cruises and National Park ranger programs. You can get to St. John from two locations in St. Thomas, Red Hook and Charlotte Amalie. Cruz Bay is the only ferry port in St. John. The Red Hook, St. Thomas passenger ferry is a 15 minute ride to Cruz Bay, St. John. The Charlotte Amalie, St. Thomas ferry is a 40 minute ride and can accommodate vehicles, but plan ahead. The popular Cinnamon Bay Beach is not the only beach in Cinnamon Bay. There is also the exclusive, residential Peter Bay Beach, and the quieter Little Cinnamon Bay Beach. 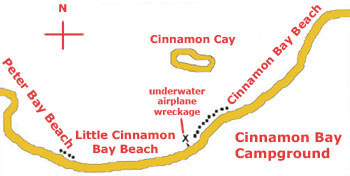 To reach Little Cinnamon, go to the Campground and go left on Cinnamon Bay beach. At the end of the beach there is a narrow trail that goes through the bushes, near the shoreline and over some rocks.